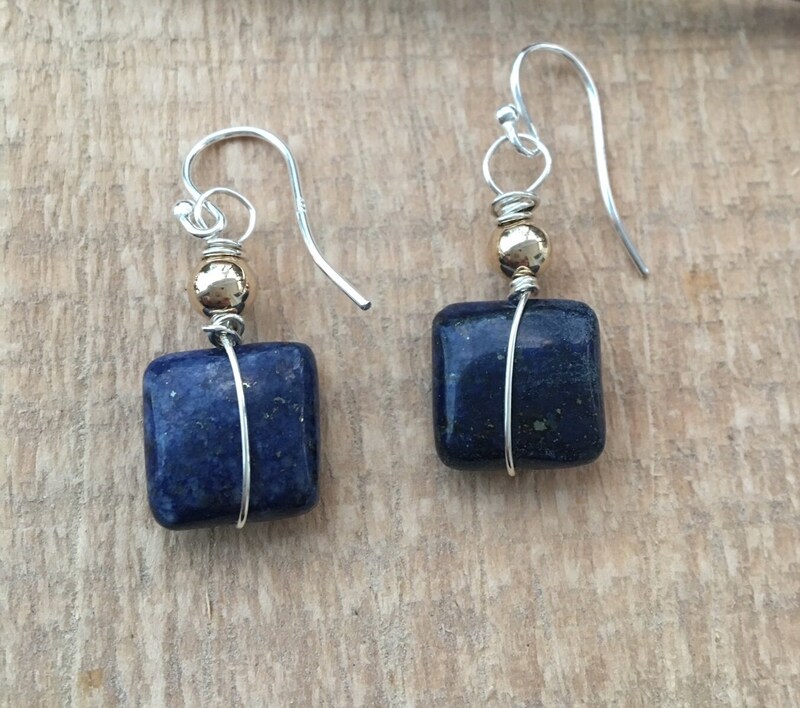 These square shaped Lapis gems are hand wrapped in sterling silver wire. 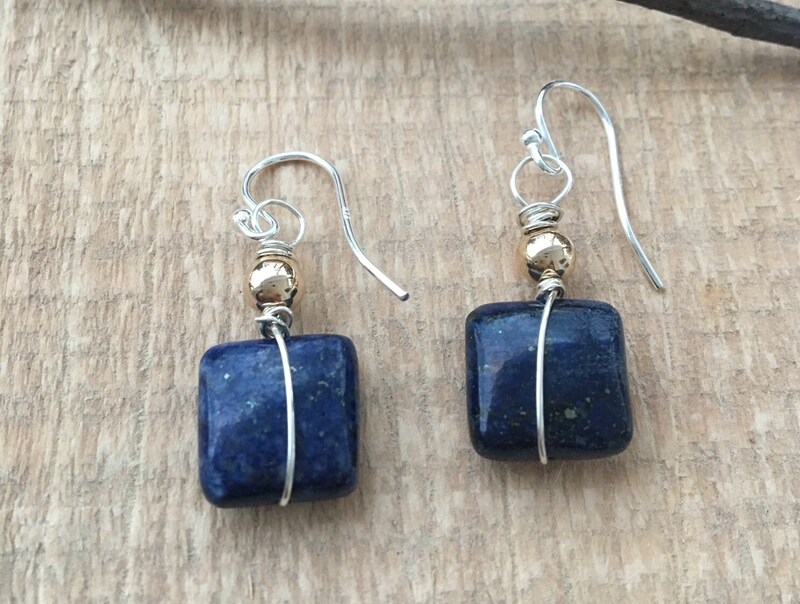 A shiny gold filled bead is then added to the top of this gemstone. 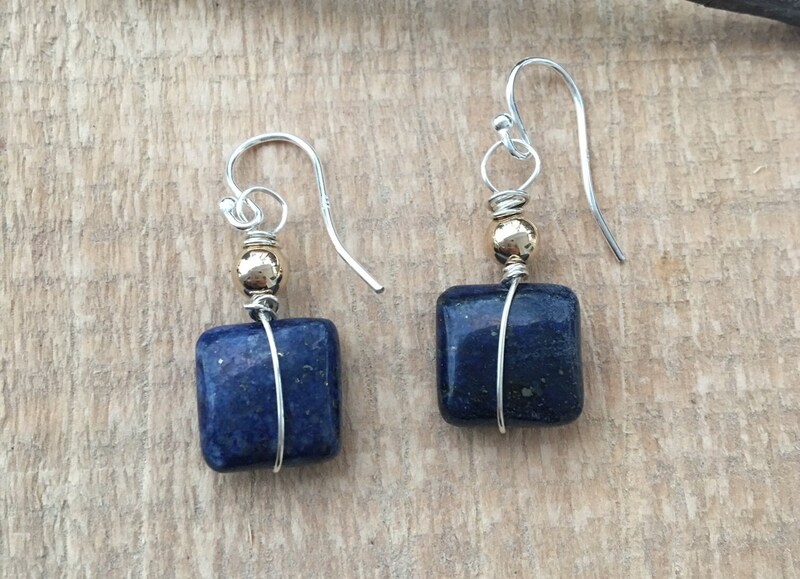 The photo shows these earrings with a traditional earring wire. You may also choose a lever back style. 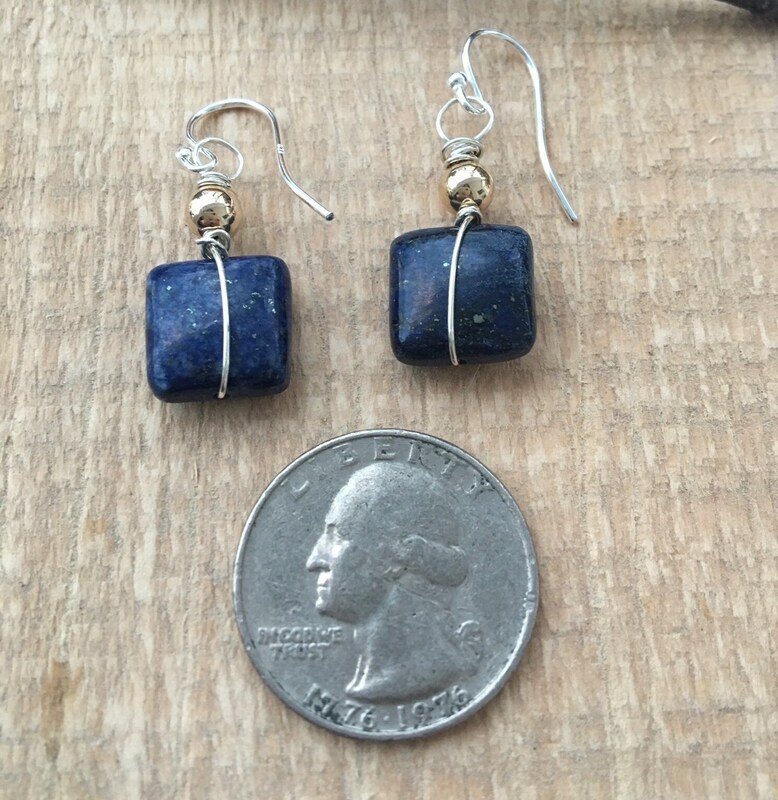 Measure 1 3/8" long including the earring wire.